When it comes to assembling stunningly simple and elegant fruit desserts, you will need a stash of lemon curd. You can buy the curd in a jar…for quite a few bucks. It is much more satisfying and healthy, however, to make your own with good honey, butter, and eggs from your own chickens (or maybe eggs from the farmer’s market). 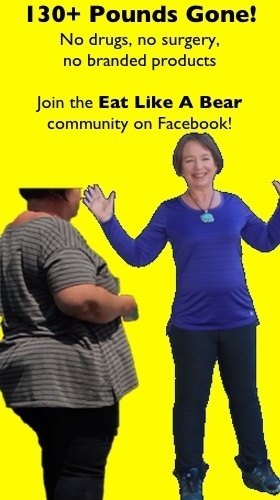 At least you know what exactly you are feeding your family. This recipe comes from Sylvie Shirazi, Gourmande in the Kitchen. She is a wizard with simple and impressive desserts. We took this recipe from a larger offering on her site — a strawberry parfait. There is no end to how creative you can be when you have the right building blocks. This lemon curd is one of those blocks. When you make up the following recipe it will seem like a precious small amount of curd. Actually it is — this recipe makes about four ounces. With the first taste you will realize that you need only small amounts to work magic in your dessert projects. Sylvie combined hers with whipped coconut cream. We’ve combined ours with regular whipped cream, with a cream cheese-gelatin mixture, and we have used small amounts of it alone. 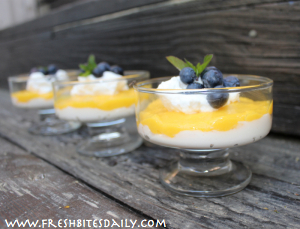 You will love the thick creamy texture and intensely bright lemon flavor. This is an opportunity for your creative juices to go into orbit. For best results use a double boiler. Your curd will cook by the steam coming from the pan below. 2. Cut the butter into pieces and add them to the top of the double boiler along with the lemon juice, lemon zest, a pinch of salt, and honey. Whisk this mixture until the butter is melted then remove the top pan from the heat and set it aside. Separately whip together the egg and the yolks until well blended and light. Using a wire whip slowly stir the eggs into the lemon juice mixture and return the container to its position at the top of the double boiler. Stir the mixture continuously until it forms a custard. This could take as long as five minutes. As soon as the custard thickens, remove it from the heat. You do not want this precious curd to overcook. Allow the lemon curd to cool and then store in an airtight container with a tight-fitting lid. It will keep for up to two weeks in the refrigerator. Be creative and have fun. This is one building project the kids will love helping you with. It is foolproof. Imagine what you can build through a whole summer season of fresh fruit. 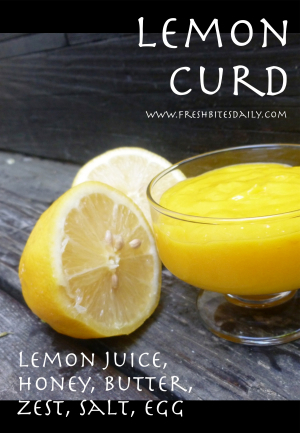 1 Comment on "Lemon Curd"
I love lemon curd and never thought of making my own. Thanks for the recipe! I was wondering if you could tell me the name of the font used for the words Lemon Curd, used on this photo?